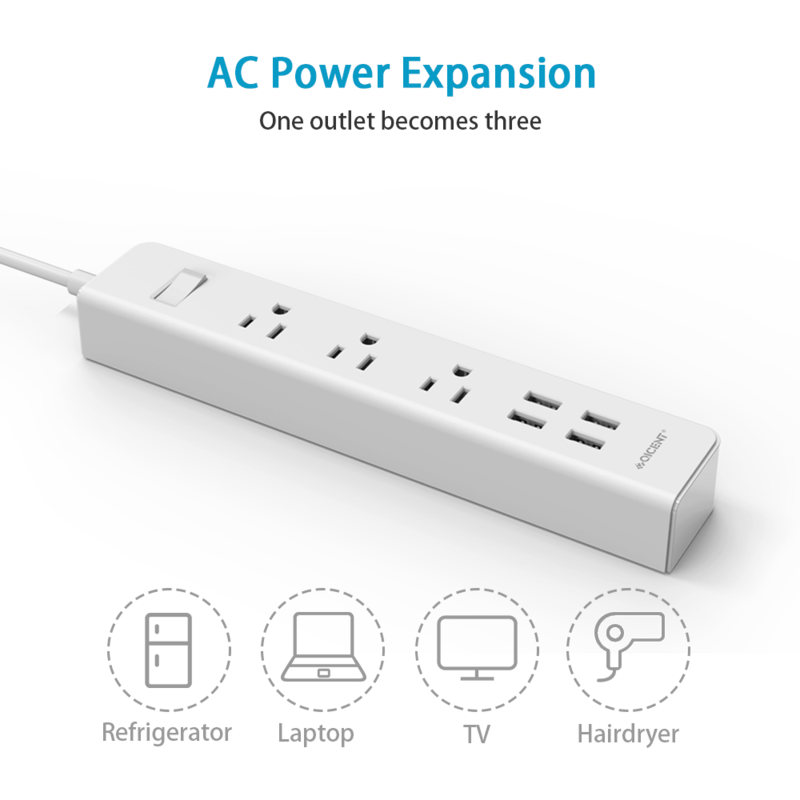 Turn one outlet into three with the surge protector. 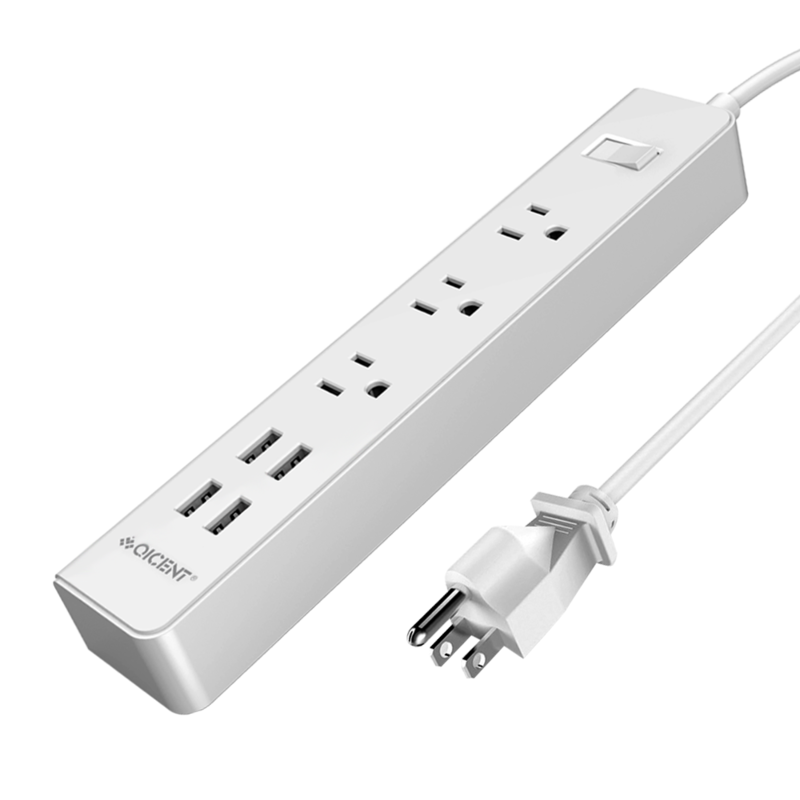 The 3 outlets surge-protector offers ultimate convenience and protection for computer electronics, home entertainment systems, and more. 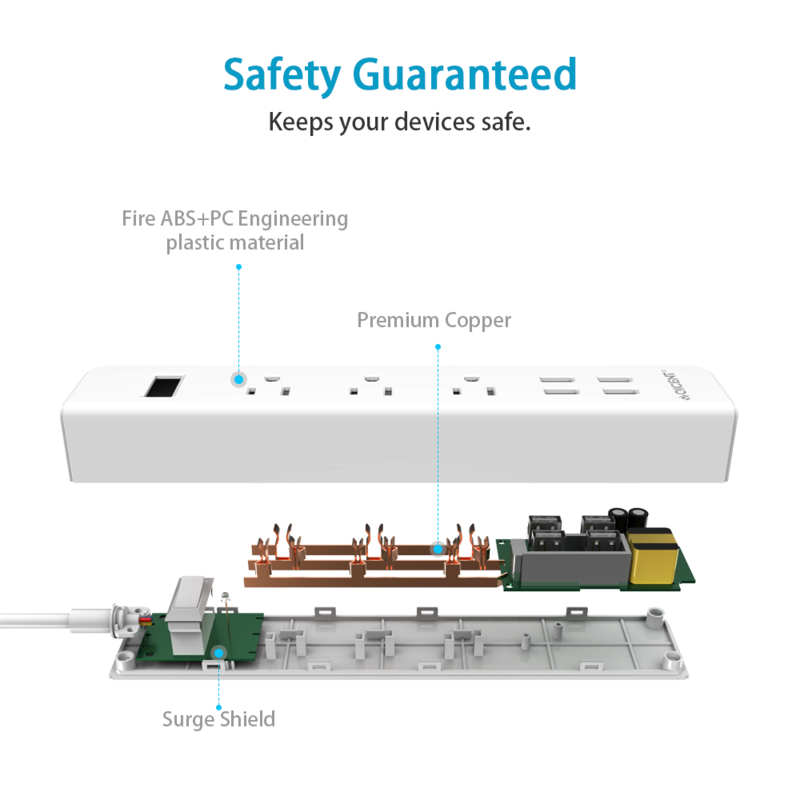 • Over charge protection prevents fire hazard. 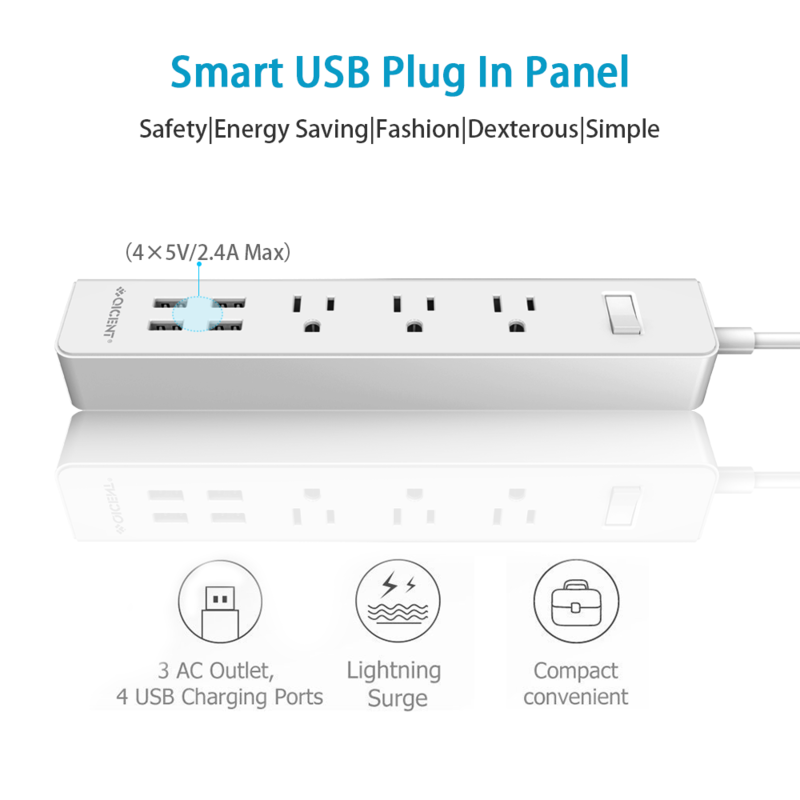 • Integrated with Super Charge + intelligent IC that enables each port to detect and deliver ideal input current each time of up to 2.4A. 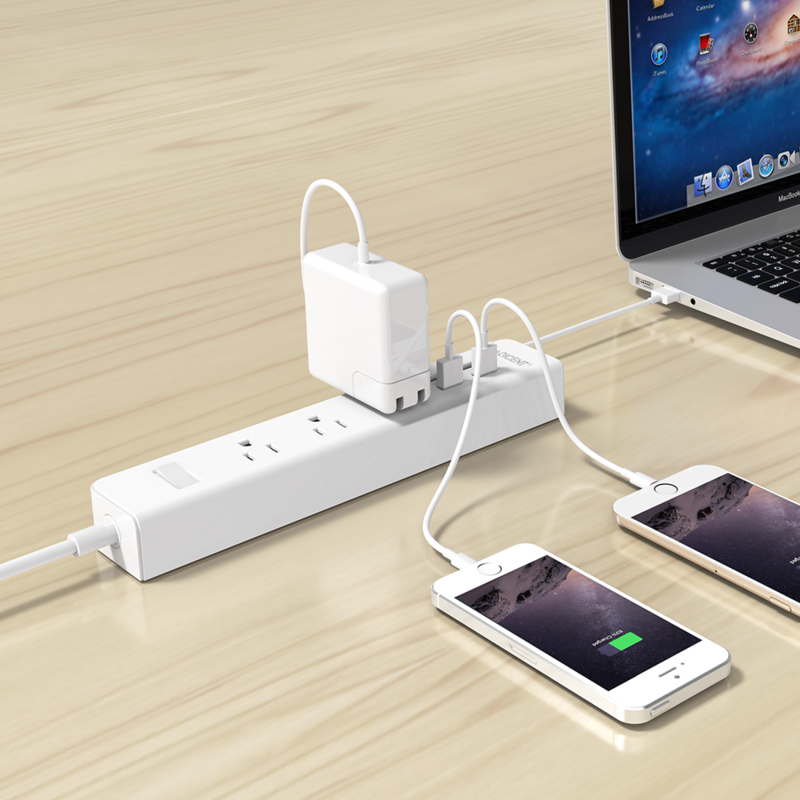 • USB ports power down in case of short circuit happening to avoid accidents. 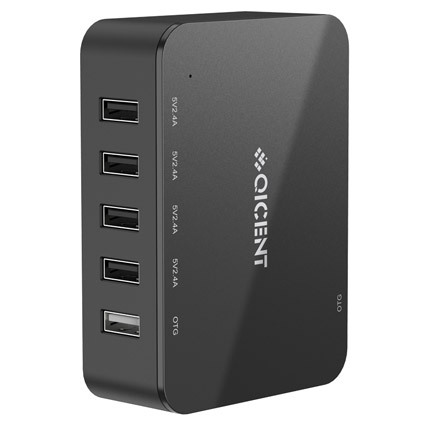 • Simple design with matte finish is perfect for your desktop accessory. 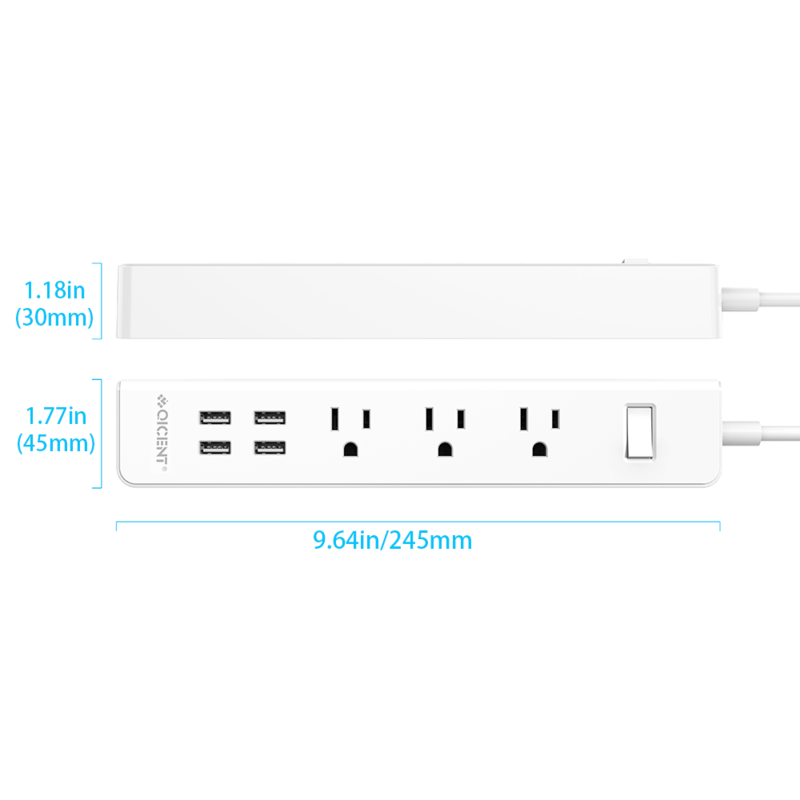 • 45mm intervals between outlets allow simultaneous use for several bigger plugs. • High-quality copper wire with excellent conductivity is more durable. 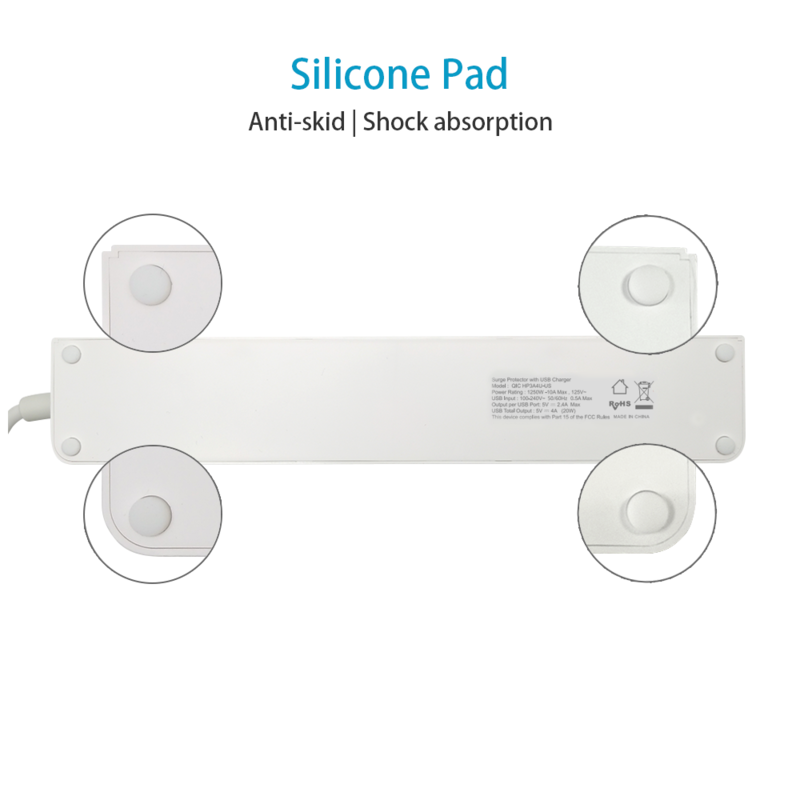 • Soft white LED indicator doesn't disturb your sleep.